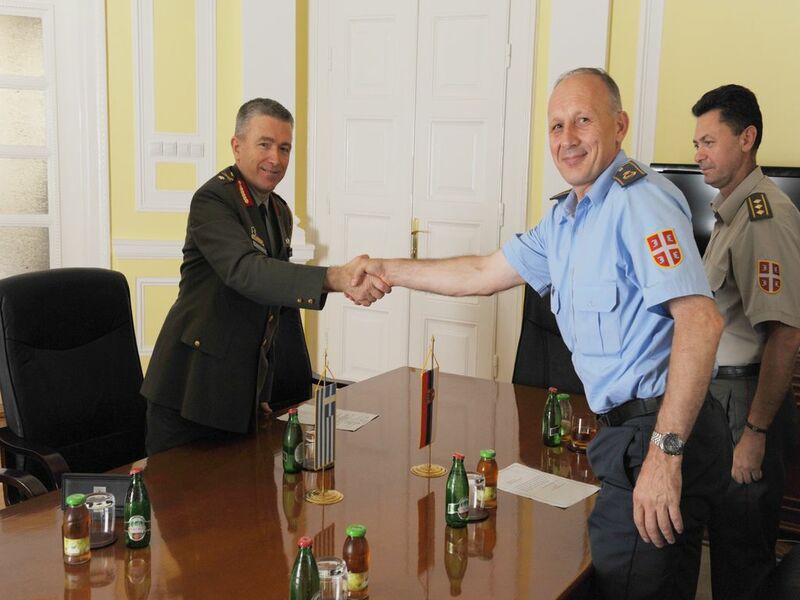 The Acting Director of the Military Intelligence Agency of the Ministry of Defense of the Republic of Serbia, Brigadier General Dragan Vladisavljevic, officially received the Defense Attaché of the Hellenic Republic, Brigadier General Apostolos Kostopoulos at the official premises of the MIA on July 14, 2012. The Defense Attaché of Hellenic Republic gave his best regards on the behalf of the Director of the Intelligence service of the Hellenic Republic- Military Intelligence Joint Drectorate- Major General Nikolaos Katavelis. 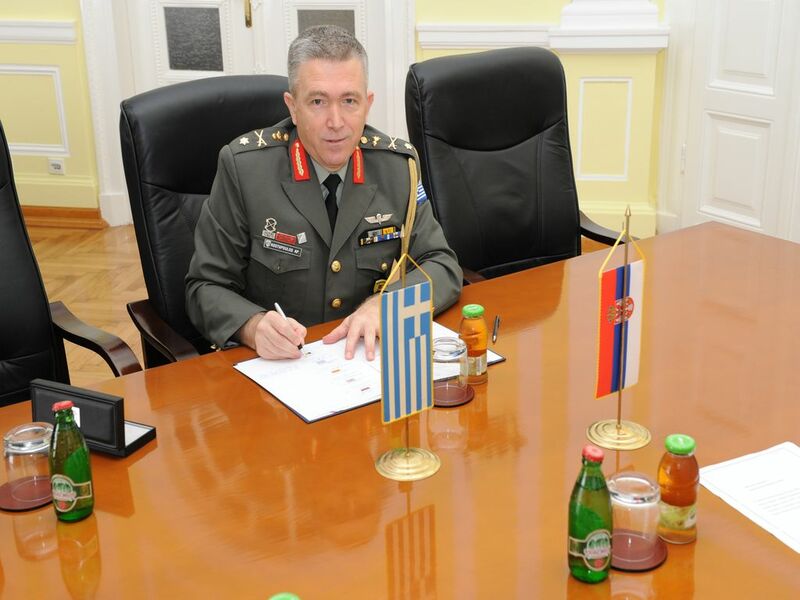 After a shorter discussion, General Kostopoulos, authorized by the Minister of Foreign Affairs of the Helenic Republic signed the Statement on Cooperation among the Military Intelligence Institutions members of the Regional Cooperation Council from the Southeast Europe. 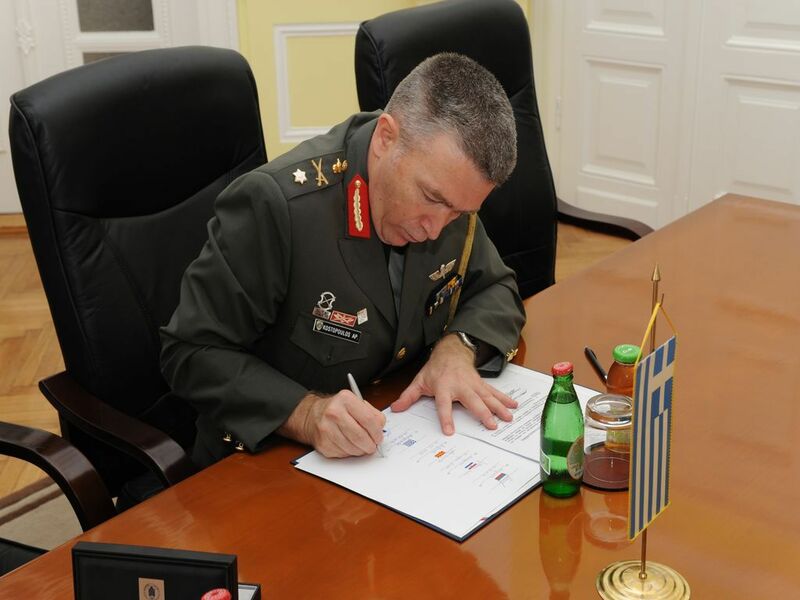 Military Intelligence Joint Directorate of the Hellenic Republic is a tenth institution which signed the document expressing its intention to participate in the development of cooperation within the SEEEMIC Initiative. This act represents a continuation of efforts made at the Second SEEMIC Conference held in Belgrade on September 30, 2010 which was organized by the Military Intelligence Agency.